And Amuro is beautiful!! She looks nothing like 32, more like a young adult!! Have a Happy New Year in 2010 and may be it be a prosporous one for you in the upcoming year. Take Care. WOW. I can't believe her age!!! Thanks for the scans too! Love reading through them! She's 32?! Dang I hope I wish I look that good in 3 yrs! LOL! But she looks great to begin with! LOL! Thanks for all these scans! 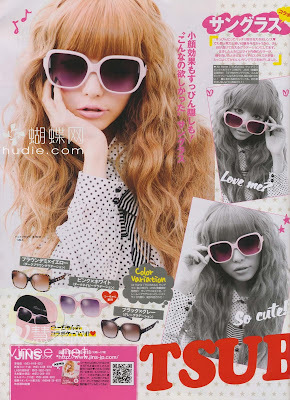 Japanese mags are the best :) Are all those girls in the spreads "real" girls or models? Thanks for sharing these scans with us, Eki-chan!! WOW!! 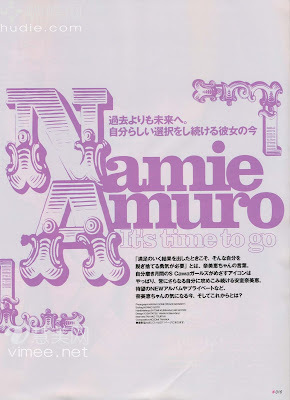 I can't belive Namie is 32!! she looks absolutely AMAZING!! Still fabulous and ageless, like you said! hehe I love all her pictures and the cute outfits! If you have time in the future, do you think you could do a tutorial on how to do the model's eye makeup in this picture (http://2.bp.blogspot.com/_7Js6mOjdl1Y/SzvBzjaiZdI/AAAAAAAADyg/GcyK9_hnzzA/s1600-h/015.jpg)? I would really appreciate it if you can show me and everyone! I'm ESPECIALLY interested in how to achieve the look of her lower lashline...that clumped together lash look! hehe i wonder if it's just her mascara or if eyeliner/eye shadow is used on the lower lashline too! Great scans! I love Namie, but I had no idea she was 32, wow! Eki-chan, Akemashite Omedeto! Kotoshimo yoroshiku ne! 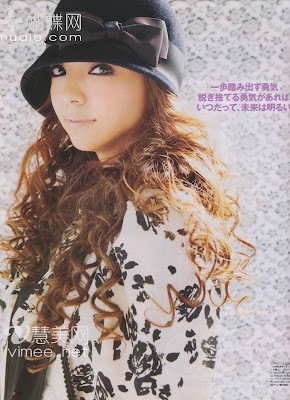 Namie Amuro is still so cute! !